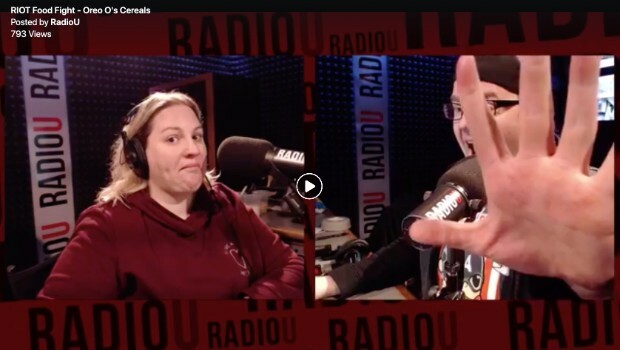 RadioU | RIOT Food Fight: Oreo O’s Cereal! RIOT Food Fight: Oreo O’s Cereal! The RIOT March 25, 2019 The RIOT No Comments on RIOT Food Fight: Oreo O’s Cereal! Once again, The RIOT is here to help you live your best life… NOW!! Oreos are the BEST BREAKFAST AVAILABLE; but what about Oreo O’s cereal? Which one would you choose? The RIOT conducts a completely scientific study of what cereal is the best!